Too many students feel ‘stressed’, anxious or low. We've developed mindfulness-based resources to support mental and physical health on campus. Thus far, in a first study, students experienced benefits from using them. 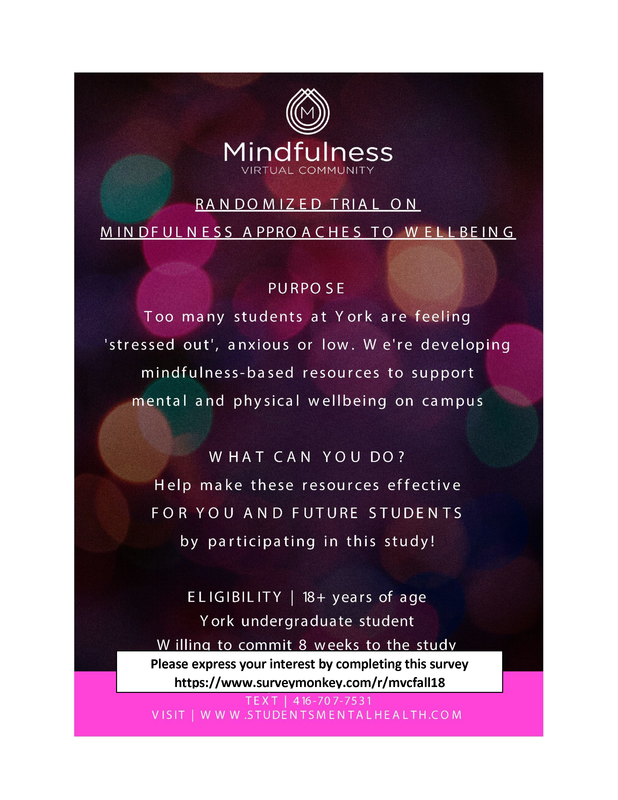 As undergraduate students, you can now contribute to further testing of these resources and become part of the emerging mindfulness virtual community. We hope you’ll be able to participate in Fall 2018, so we can learn more about how to help students like you using these resources. Access to the resources is free to participants, and there will be a compensation of $50 or 2% URPP, 2% KURE credits. ​If you are an undergraduate student, 18 + years of age, willing to commit 2 hours a week for 8 weeks, and proficient in English; please complete our form, and then book a time to come and meet with one of our RAs.